Depending on the budget you can do a lot or a little, but even a small change can make a big difference. So to keep an old kitchen looking fresh and new, try one or all of these updates. The easiest way to update a kitchen is with a coat of paint. Painting the walls is easy, but so is painting the cabinets. In fact there's no better way to freshen up dated cabinets than with a new coat of paint. It's inexpensive and can be done in an afternoon. Replacing light fixtures can do wonders in a kitchen. 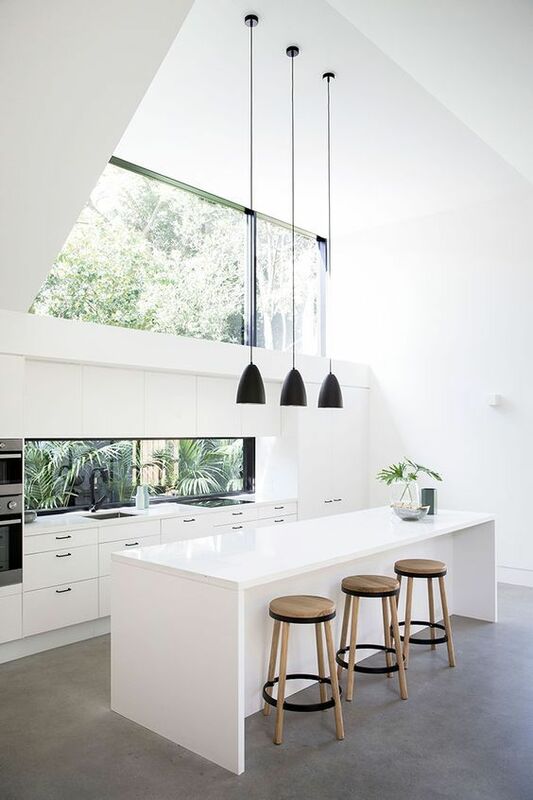 Both task and ambient lighting are useful in the kitchen so try to incorporate both. Many old kitchens have only one overhead fixture but these don't often provide enough light. Since most kitchens don't have much extra space for table or floor lamps, consider having pot or tracks lights installed to disperse the overhead lighting. If the look is a bit too modern for the room try also installing some type of hanging fixture such as a chandelier or pendent lamp. The backsplash covers a small area but it plays a vital role in the look of the kitchen, often tying together the countertops and cabinets. Try replacing an old backsplash with new glass tiles, mirror tiles, pressed tin tiles, or laminate. You can also try something a little more creative like painting a backsplash with chalkboard paint. It's a perfect place to jot down grocery lists, recipes, and other notes. One of the simplest ways to update kitchen cabinets is with new hardware. Knobs and pulls are available in a huge variety of styles and colors as well as a plethora of different shapes. For a uniform and streamlined look keep the hardware simple and make sure the pieces used on the cabinets are the same as the faucets, doorknobs and hinges. For something a little more unique try using an unexpected material like mother-of-pearl, crystal or even enamel. Cabinet refacing is a great alternative to replacing old cabinets. Refacing involves removing and replacing the cabinet and drawer fronts and adding new veneer to the fronts and sides of the cabinet boxes. It can be a tricky job so it's best to hire a professional, but the cost is about half of completely replacing old cabinets. As long as the cabinet boxes are structurally sound it's a viable option. If the budget allows consider replacing old appliances. They won't just look better, they'll likely function better. Most appliances are now energy star certified so they use less energy and can even save you money over time. If you can afford it, replacing the existing old appliances is worth looking into.